Advanced Notice: At least 24 hours before departure, travelers must notify Amtrak of their intention to transport firearms. Notification must be by phone (not online), and firearms must still be declared upon check-in. Declaration: When checking-in, you must tell baggage handlers that you are transporting firearms. Locked Container Requirement: As when transporting guns on a commercial airline flight, gun owners should pack firearms unloaded and in a locked, hard-sided container. 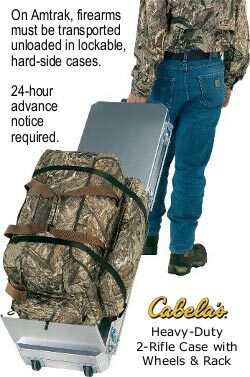 NOTE: handgun cases must stored inside a suitcase or other checked bag. 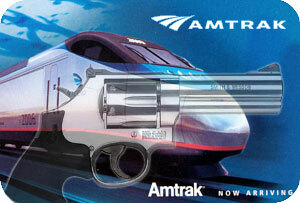 Gun-toting travelers with questions should call Amtrak at 1-800-USA-RAIL or visit www.amtrak.com. Federal legislation mandated this Amtrak policy change. Share the post "Amtrak to Allow Guns in Checked Bags Starting December 15th"
Most of our regular visitors observed that we activated our new, enhanced AccurateShooter.com website a couple weeks ago, but there are many cool features you may not have tried out yet. We have created Category Index Pages with thumbnails that are easy to navigate. 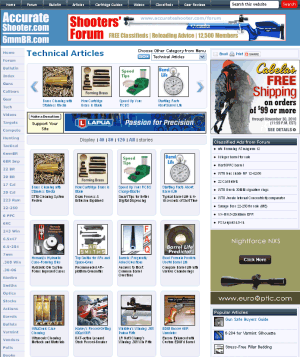 You’ll find 16 different category pages, such as Cartridge Guides, Competition, Hunting, Optics, Reloading, Rimfire, Shooting Skills, Tactical and more. On any Category page you can see thumbnails and a short summary of each article. Here’s how to navigate on the Category Index Pages. First, at the top, you’ll see four thumbnails, with blue arrows on the left and right. Simply click the arrows to see four more articles appear at the top. You can also scroll down to see the articles in a grid format. Let’s say you want to switch from Competition to another category, such as Gear Reviews, Optics, or Cartridge Guides. That’s really easy. At the upper right, you’ll see a pull-down menu that includes all the Categories. Just select the category you want and click the GO button. To read a story, click on the square photo (thumbnail) or click on the story title just below the thumbnail photo. In addition to the Category Index pages you can also find articles using the search field, found in the upper right-hand corner of every page. Just type what you want and click the red “Search” button. Share the post "Check Out Our New Category Index Pages"
Here’s another promo that can save you money on your holiday shopping. When ordering goods through Gander Mountain’s online store, use Coupon Code GME1205 during check-out. That code gets you $20 off a $100+ order (20% savings), $50 off a $300+ order (16.6% savings), or an impressive $100 off a $750 order (13.3% savings). This promo is good through December 11, 2010. 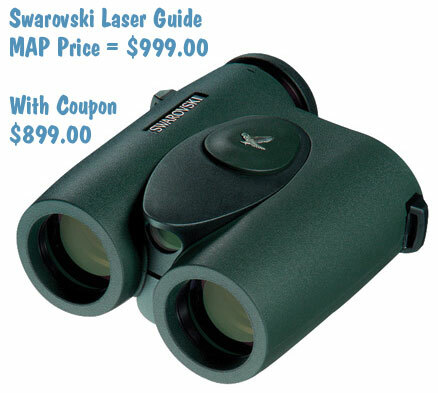 Note that many premium scopes, binoculars, and rangefinders are governed by “MAP” (Minimum Advertised Price) rules imposed by the manufacturers. That means the list price is going to be the same at all authorized dealers, even the “super-discounters”. However, if you can use a “generic” discount code to get $50 off or $100 on an order that includes MAP-priced items, you’ll come out way ahead. MAP agreements prevent any seller from displaying specific items below a certain price point. But your coupon code effectively allows you to purchase below MAP price. Share the post "Gander Mountain Bargain Codes (Good ’til 12/11)"